The Baxi Platinum Combi 24 gas boiler is a firm favourite with householders and installers. Its compact design allows for straightforward installation and because it’s highly efficient it also helps you to save energy and reduce your fuel bills. An exceptional hot water flow rate of 9.8 litres per minute, all the way up to up to 16.4 litres per minute on the larger 40KW model gives this product the ability to provide powerful showers and quick filling baths – even in large properties. 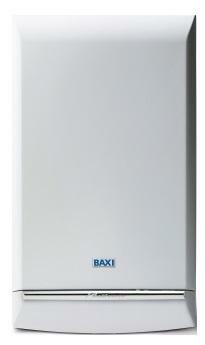 The Baxi Platinum Combi offers a range of heating outputs at 24kW, 28kW, 33kW and 40 kW. Efficiency is rated at 88.6 per cent.